Last weekend at CrafterNoon Delight Whiskey and Craft Beer Fest, I got to try two new beers brewed by Sierra Nevada Brewing, both part of their Snow Pack Seasonal Package. I decided to check out more than a sample size today. 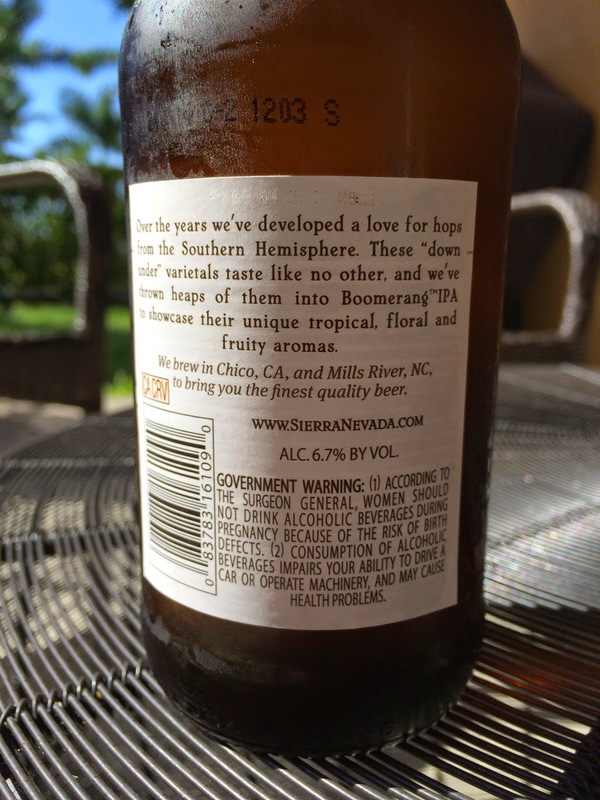 First up is Boomerang IPA, an American IPA brewed with Australian hops, thus the name. A quick introduction on the back sets your expectations. 6.7% alcohol. 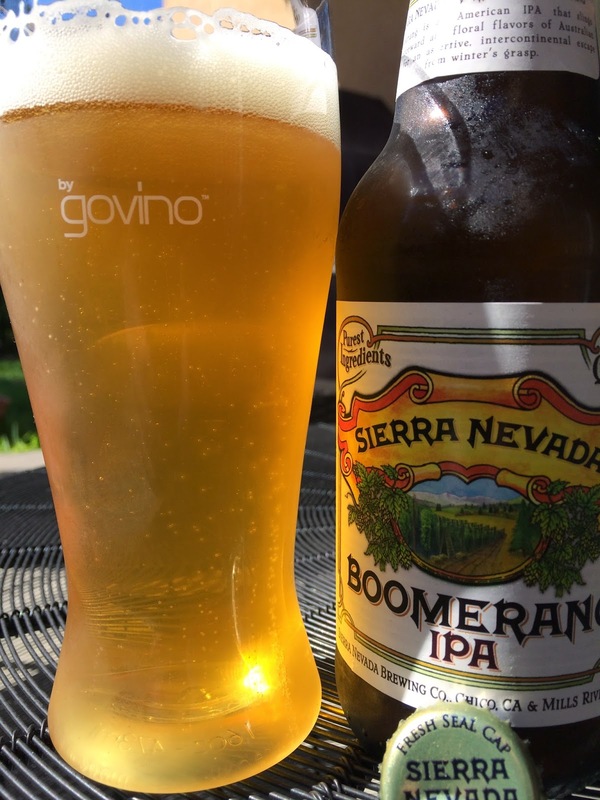 I also decided that this was the perfect opportunity to check out my new Govino "Go Anywhere" Beer Glass, a shatterproof, reusable and recyclable "glass" made from a BPA-free polymer. I guess the idea is to use it at the pool or beach or park where broken glass can be a problem. The glass is also ergonomically designed with a notch in the back, a design feature that helps you protect your beer with a good grip. It's a chilly day today, but I'll be using this at the pool regularly! Floral, piney aroma, spicy and full of dank green hoppy goodness. Bitter floral flavors also at the beginning. The hops are assertive, fresh and very green. Spicy, peppery too! There are hints of tropical fruit as the label suggests, but those are not really more than interesting nuances. Overall, this is an extremely hop-forward beer, very refreshing, enjoyable. Definite winner!